I’ve been in Paris a couple of times in the last few months, most recently on our way from London to Italy via Switzerland. I’m often on the look out for somewhere to have a light lunch, knowing that I will be treated to a gastronomic feast in the evening! So what’s a good gluten free salad choice in Paris? First up, Salade Nicoise. There’s something the French do with Salade Nicoise that makes it taste very unique and it seems impossible to recreate the taste outside of la belle France. Even in the worst tourist trap, it still tastes good. After a busy morning wandering around the fabulous Musee D’Orsay where the building is almost as beautiful as the art work it contains, we wandered along Boulevard Saint Martin in search of a late lunch. If I were ever lucky enough to live in Paris, this is the area where I’d live. 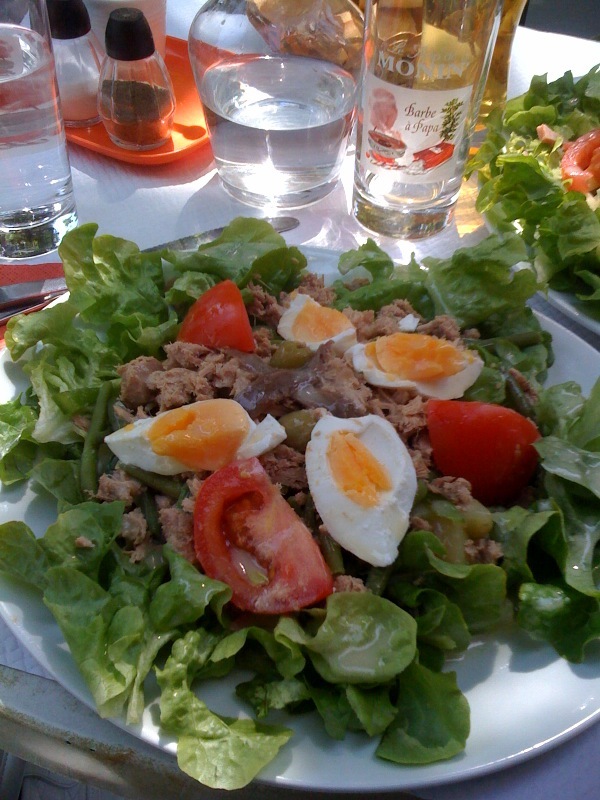 Basic salade nicoise, served all over France like this. Simple but satisfyingly tasty. Must admit the carafe of rose wine and ample people watching possibilities from our wonderful vantage point on the sunny boulevard probably added to the positive memory of this salad! 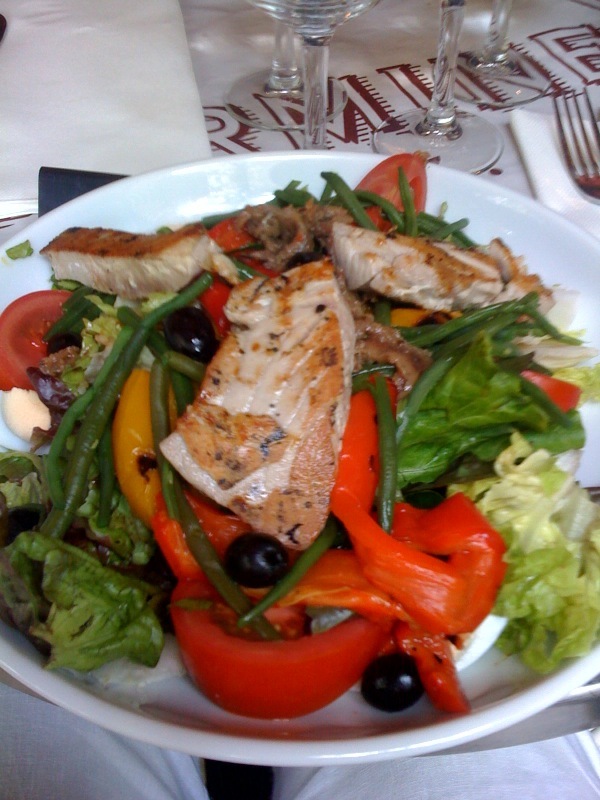 Salade Nicoise part deux: This Salade Nicoise was served at Carmine cafe, not far from the Eiffel Tower. Definitely a culinary step up with fresh tuna steak, it was also extremely filling. A Sunday lunch strolling along the hip Canal St Martin with our friends N & E called for a tasty lunch before heading back to London on an afternoon Eurostar. They took us to this small cafe. 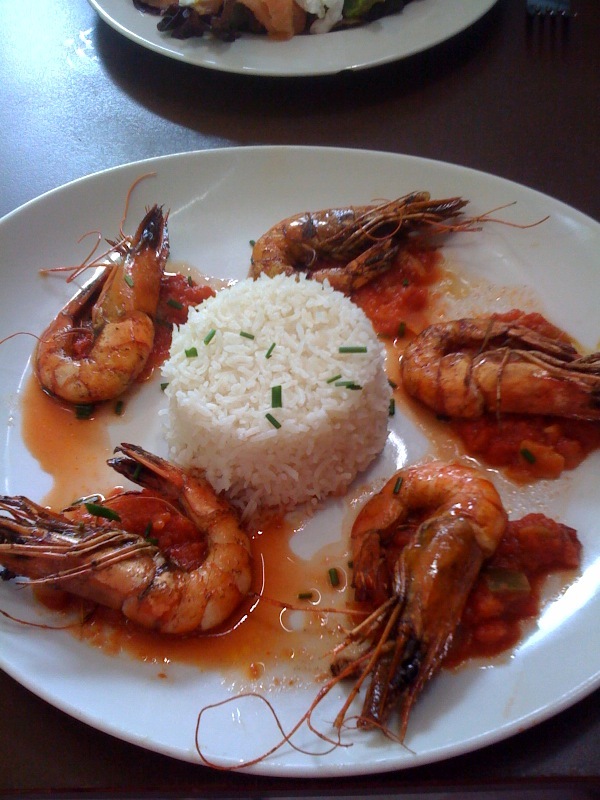 I chose this prawn and rice dish. Simple but absolutely delicious. Especially loved the deeply flavoured tomato sauce the prawns were nestled on. So I find myself back in Paris, albeit briefly, as we travel by train from London to Milan via Paris and a couple of nights in Zurich. We arrive on the Eurostar from London into Gare du Nord and have just under 2 hours to switch to Gare de l’Est. It’s only a 10 minute walk between the two stations so we decide to walk over and find somewhere to have lunch. Gare de l’Est turns out to be full of baguette shops. Sacre Bleu! Eventually we spot a Brasserie Flo and go in search of salad. Although the French waiter speaks perfect English, I decide not to take my chances on his understanding and pull out my Coeliac Travel cards. Good job I did, the griddled vegetable salad I’d selected contained an ingredient not listed on the menu: Couscous. Fortunately the Coeliac Travel cards have saved me again. The waiter instructs the chef to make the salad sans cousous. Disaster averted. 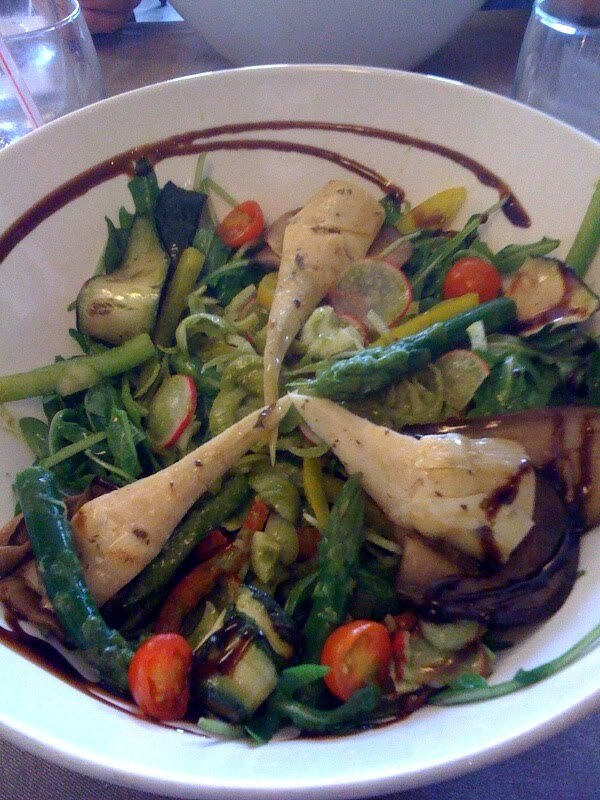 The salad turned out to completely fabulous, big fresh griddled veggies, various lettuces and a great dressing. I’ve found eating gluten free in Paris relatively easy. Make sure you pack your Coeliac Travel cards to double check ingredients with waiters but almost every menu will contain something suitable. 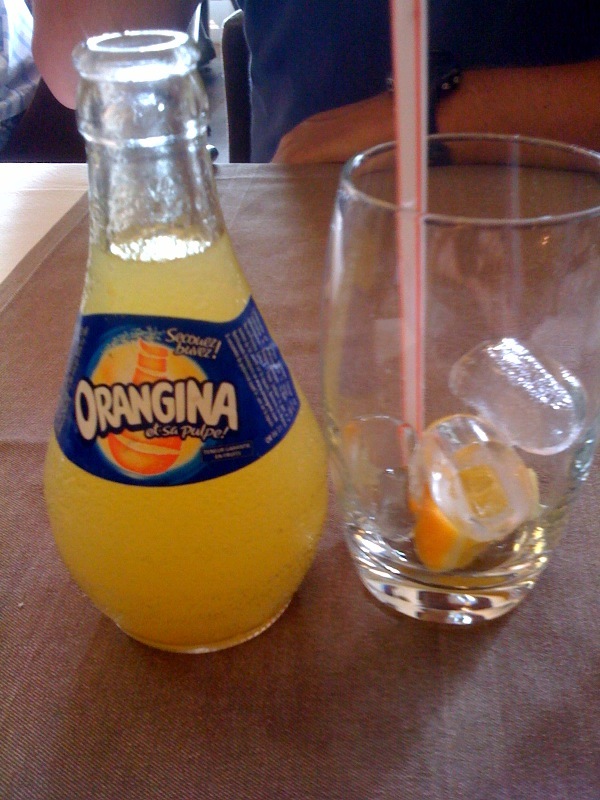 And finally, no meal in France would be complete without…………..a glass of Orangina! 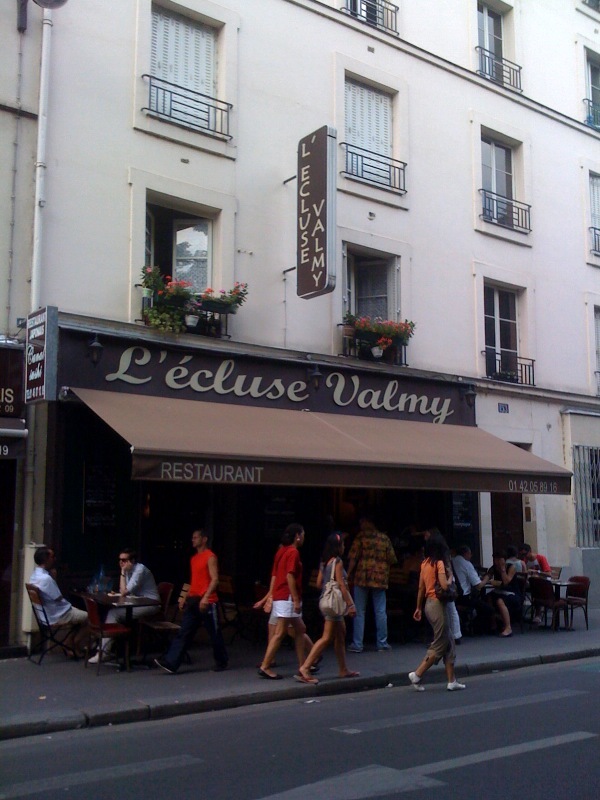 If you are looking for hotels in Paris which are able to serve gluten-free food, please visit http://www.glutenfreehotelsguide.com/city.php?id=4.